The registration has begun for the May 1 edition of The Platform Nigeria. 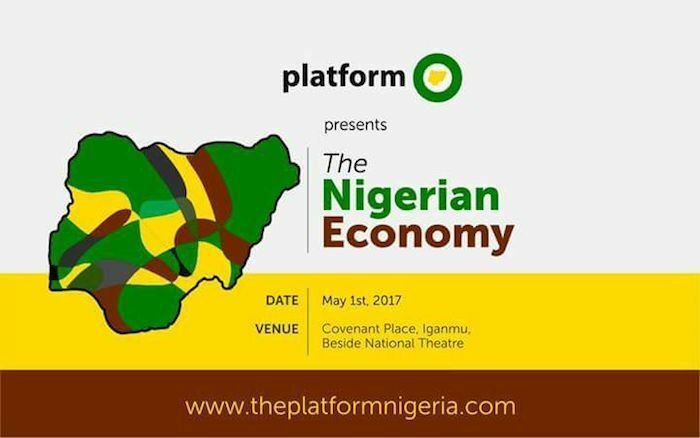 The theme of this edition is "The Nigerian Economy". The event is powered by Covenant Christian Centre. Nimi Akinkugbe, Founder and CEO Bestman Games. She will be talking about Personal Wealth Management. Prince Bimbo Olashore, Chairman, Board of Governance, Olashore International School. He will be speaking on Maximizing the possibilities in this economic climate. Professor Abdul-Ganiyu Garba, former H.O.D, Dept of Economics, ABU, Zaria; Member Monetary Policy Committee, CBN. He will be speaking on Transforming the Nigerian Economy: A Theonomic Perspective. Roman Oseghale, Head Consultant, Intelserve Inc. He will be speaking on Developing Sustainable Economic Growth. Andrew Nevin, Partner Financial Services Advisory Leader. Chief Economist, PWC West Africa. His presentation will be on Nigeria's Need For Foreign Capital To Grow. Kemi Adeosun, Honourable Minister of Finance. Keynote address will be given by His Excellency, Prof. Yemi Osinbajo, Vice President of the Federal Republic of Nigeria.